Week 2 – Free Grade 5 Plans with Every Purchase! This week with every purchase of a Harmony Fine Arts year plan you will receive Harmony Fine Arts Grade 5 plans for free! Add your purchase and the Grade 5 plans to your shopping cart, apply the code above, and then download your plans to use this year or for a future year! Harmony Fine Arts Grade 5 plan is one of my most favorite and popular plans for homeschoolers. Please note the code will only work if you purchase a regular year plan. It will not work with the purchase of a mini unit. Every Thursday during the month of August, I will be posting a special offer, a free printable, or a giveaway opportunity! August for homeschooling families can be a last flurry of planning and I thought this might be a fun way to anticipate a September start of the school year. Make sure you are subscribed to my email list so you don’t miss a single one of the August promotions! Here is the discount code from last week’s promotion that is still valid. This code will take 25% off your entire order from now until 8/15/18. Make sure to add the discount code in your shopping cart. Week 1 – Discount Code! Every Thursday during the month of August, I will be posting a special offer, a free printable, or a giveaway opportunity! August for homeschooling families can be a last flurry of planning and I thought this might be a fun way to anticipate a September start of the school year. First, here is a discount code for everyone to use to purchase a new Harmony Fine Arts plan. Take 25% off your order. This code will take 25% off your entire order from now until 8/15/18. Make sure to add the discount code ART in your shopping cart. Make sure you are subscribed to my email list so you don’t miss a single one of the August promotions! Happy August to all homeschooling families! 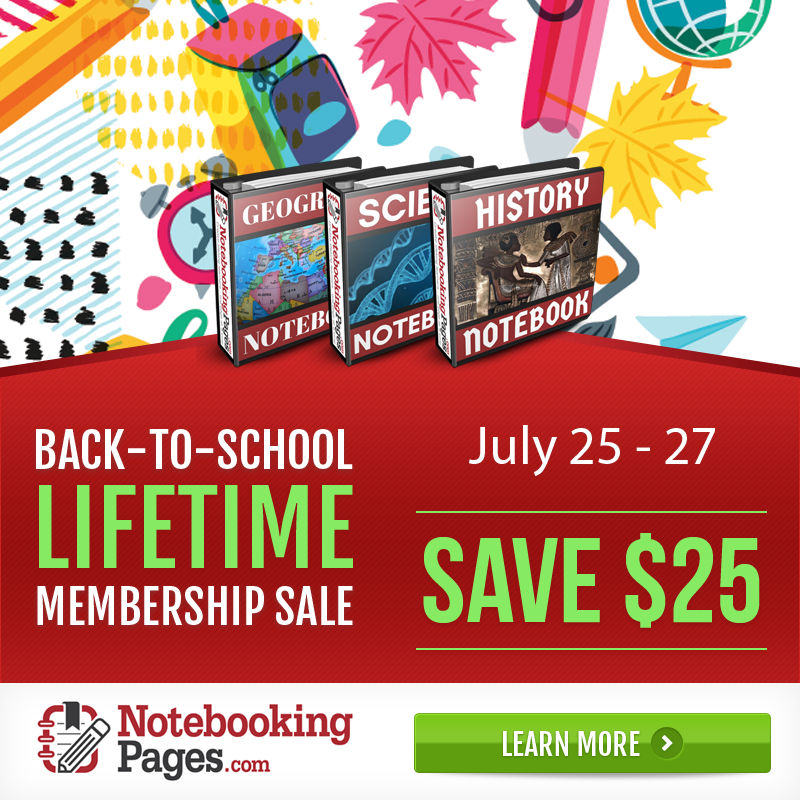 NotebookingPages.com is having their last ever discount on Lifetime Memberships and later this fall you will no longer be able to purchase a Lifetime Membership. So, my friends, this is the time to pull the trigger and if you have been thinking about purchasing a membership to this amazing resource, NOW is the time. For the next few days, the Lifetime Membership will be sold at a huge discount of $25. 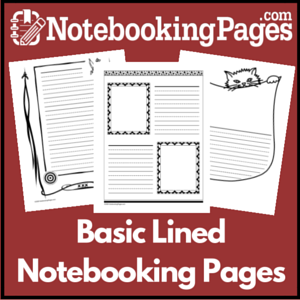 This means for $72 you will have a complete library of 100’s of notebooking pages right at your fingertips….FOREVER! You can even make 3 easy payments to help fit this resource into your homeschooling budget! I have had a Lifetime Membership for many years, both during and post homeschooling. 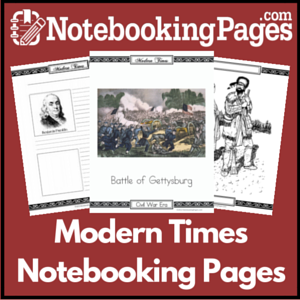 My boys benefitted from having a membership both from the pre-printed pages and the Notebooking Web App program where they could custom make their own pages and actually type onto the page and then print them out for their notebooks. This sale starts today and will end at midnight on July 27th! You need to act fast to catch this soon to be gone membership to NotebookingPages.com. In addition to receiving a Lifetime Membership during this sale, you will also receive a Lifetime Membership to MomsToolBelt.com. 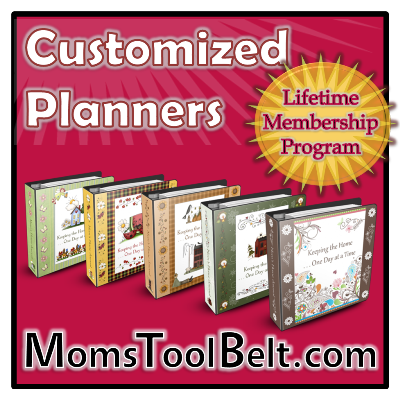 I have used my membership to MomsToolBelt to create my own custom calendars and planners for probably a decade. I love using the flexibility of this program to make my own planner that fit my household needs. You will too! 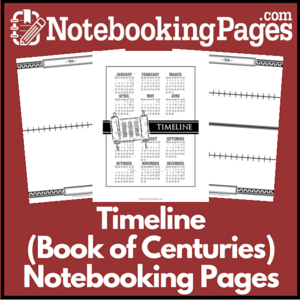 Please note I am affiliate for NotebookingPages.com and have owned and used their products for a very long time in my family! 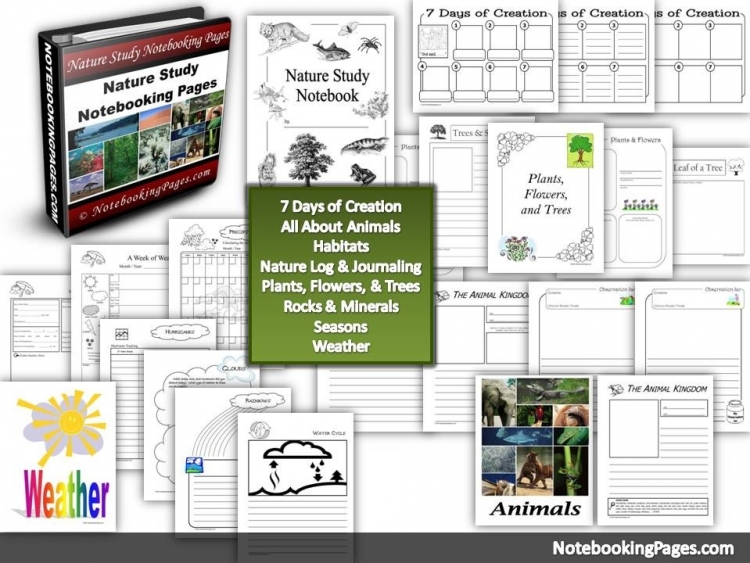 You can also read my page on how to create nature journals and notebooking pages on this page.